How do you validate your idea? What happens when you don’t validate your idea? A friend of mine works in sales and has been watching me slowly venture into the world of online courses. While at lunch a few days ago he said that he wants to start doing online courses as well. I immediately blurted out, “you have no idea how much work it is”. Within the first 10 minutes of the conversation he was already telling me about how he wants to ultimately create this online sales university type thing. He wants to teach startups how to monetize and then eventually branch out beyond startups. I immediately told him to put on the brakes. He was already caught up in the idea … but he had not validated the idea yet. I spent the next 15 minutes telling him about my journey of validating my ideas for my online courses. This hasn’t happened overnight. I started testing out online training over a year ago. The one mistake I made initially was spending far too much time developing curriculum and then telling people about it. Bad idea. It turned out that curriculum was good, but not for what people needed right now. So I wasted a ton of time making a curriculum that’s sitting in a Dropbox folder right now! You are your own worst client. I learned my lesson though. As I’ve said many times before, you are your own worst client. As soon as you are the client, it’s as though a giant blindfold is placed over your head (at least for me) and you end up making a lot of mistakes … mistakes that you constantly tell your clients and students not to make. I know, I know, it’s horrible. But for me, it’s true. I get so excited about what I’m making that I forget the logical steps to go about actually making it (in a smart way). The good news is that I’ve learned my lesson and I test everything now. And that was the advice I gave to my friend. I told him to first develop a 90 minute workshop that he can run. Then, tell people about it and see if they sign up. If they do, then take time to create the curriculum. But don’t do it the other way around. You probably aren’t creating a curriculum. 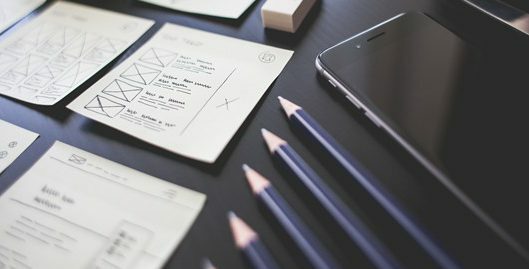 But, whatever you’re working on, consider this a reminder to validate your idea (here’s a great post on concept testing)! Don’t get caught up in building. Don’t think you know best. Don’t think that if you build it they will come. Don’t act on assumptions that you have – especially assumptions that you have not validated! Here’s a video of a talk I gave in Berlin about why we must prototype (aka “fake it until you make it”). I think it will really help you learn how to validate your idea so that you don’t build too fast!